Keep your baby warm and cozy with the Mackenzie Blanket by Lambs & Ivy. This blanket is generously sized at 30" x 40" and made of coral fleece. 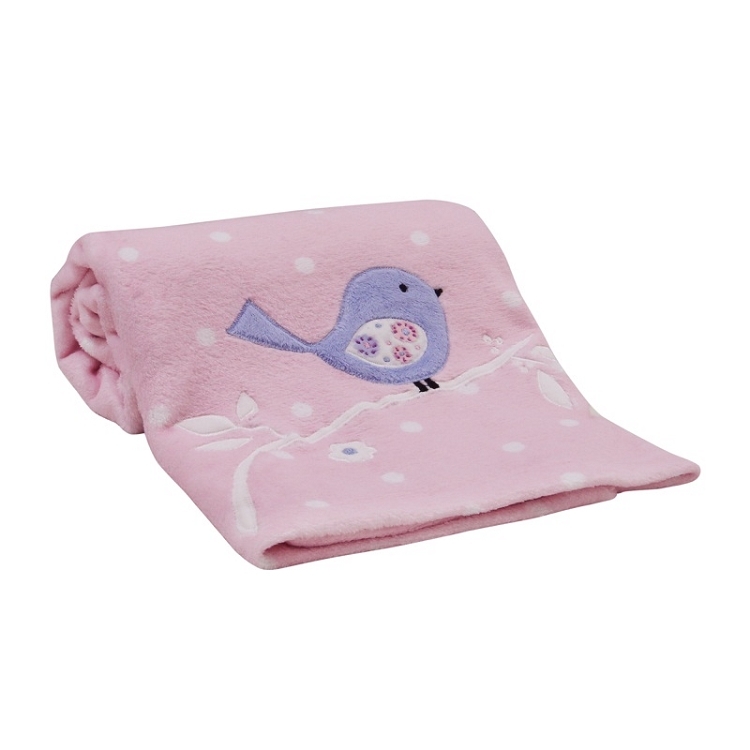 The blanket features a cute bird applique on a delicate branch with a pink background and white polka dots to complete this look. Coordinates with other pieces from the Mackenzie Bedding Collection.